In preparations to aid weight loss, we can meet with different extracts from medicinal plants. One of these medicinal plants is Paulínia beverage whose extract is known as Guarana. This herb is native to areas of the Orinoco and the Amazon basin in South America. Indians consume this herb for centuries. That is in plant weight loss is due to the content of caffeine , which was formerly known as guaranine, while still occasionally we meet with that name. Now is usually the term used for guaranine gentler form of caffeine contained in Paulinia beverage. Caffeine works by blocking the enzyme that normally breaks down adrenaline and noradrenaline. Clearance of adrenaline and noradrenaline into the blood is normally matter of seconds. In a normal situation, the excess of stress hormones immediately deactivated so as to avoid the "overdose" the body of overproduction. Caffeine stimulates the central nervous system, accelerates the heart rate, increases the acidity of the stomach and acts as a diuretic. Expands the arteries, thereby helping people affected by asthma . By caffeine stressing the body by acting on the nervous system, which breaks down fat in the "idle" state. Unfortunately, there is tolerance to caffeine, so you can not use for this purpose a long time. However, the important thing is that the caffeine in guarana , caffeine is not a classic, as we know from coffee, but is referred to as its finer form. Therefore, it appears in the products, unlike traditional, pure caffeine. Supports natural temporary increase in body temperature and metabolic thermogenesis. This process contributes to decomposition of body fat, and this allows the conversion of stored fat into energy and promotes energy expenditure. It is ideal to use products containing extracts of herbs that contain forms of caffeine during intense physical exercise, or at least a reasonable motion mode because it also removes lactic acid from the muscles, enabling higher performance. Substances from the group of caffeine found in a number of other medicinal plants. One of them is green tea . Related to Chinese tea promotes fat oxidation enzymatic process and their removal from the body, reduces the ability of fats and carbohydrates accumulate in the body and thereby reduce caloric yield diet. Another is known as yerba mate and prepared from dried, lightly toasted and crushed leaves of holly Paraguay. Paraguayan holly is an evergreen shrub reaching a height of 15-20 m, growing on the territory of Argentina, Brazil, Paraguay, Peru and Chile. Yerba maté is especially popular because of its stimulant effects, but other than caffeine also contains many other active substances. In addition to those mentioned, there are plants containing substances other than caffeine. One of them is Garcinia cambogia . It contains a high proportion of hydroxycitric acid. In this acid was observed in the studies the ability to influence metabolic processes that lead to reduced synthesis and increased lipid oxidation. Simultaneously extract of this plant promotes satiety, which may lead to a lower intake of food. Energy expenditure also supports dry extract from the fruit of Schisandra . The extract of bitter orange ( Citrus aurantium ) is a natural alternative to ephedrine, accelerates metabolism, and thus promotes fat burning. The reason is isolated synephrine, an alkaloid selectively stimulating adipose tissue to produce energy through its degradation. 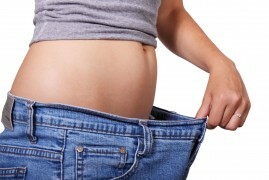 Due to the aforementioned selectivity is synephrine so today one of the most popular substances for weight loss. The process of creation of new products is not complete and so can be expected to appear as other extracts of medicinal plants, affecting the process of weight loss. The total supply products for weight loss .